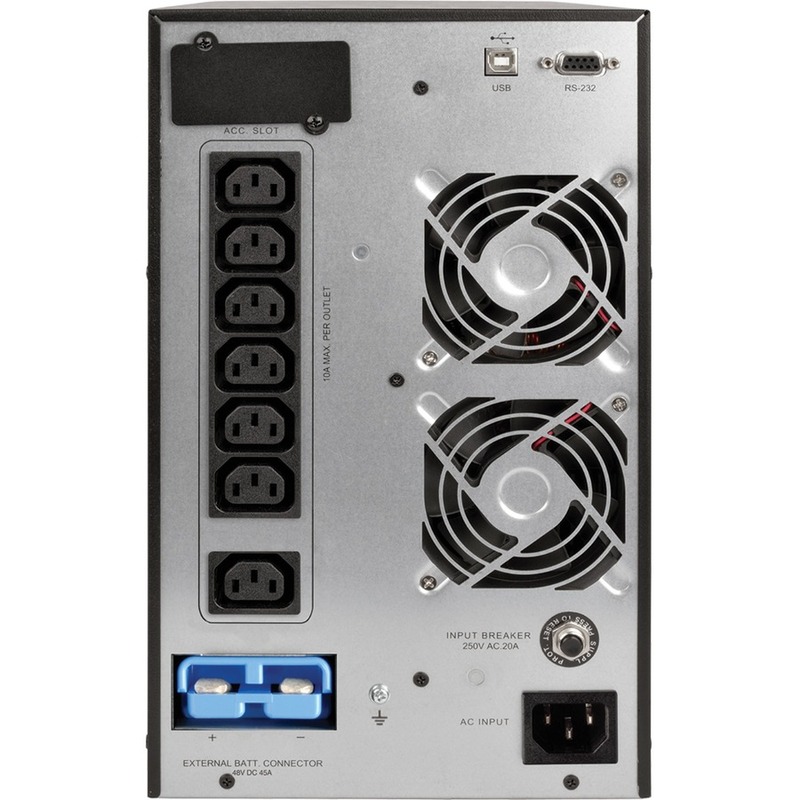 The SUINT2000XLCD SmartOnline® 230V 2kVA 1800W On-Line Double-Conversion UPS provides battery backup and AC power protection against blackouts, brownouts, power surges and line noise that can damage electronics or destroy data. It converts AC input to DC power, and then converts DC to fully regulated sine wave AC output with +/-2% voltage regulation in online, double-conversion mode. Featuring seven C13 outlets, the SUINT2000XLCD has an internal battery that provides 12 minutes of support at half load (900W) and 4.7 minutes at full load (1800W). Adding external battery packs, such as BP48V24-2U (sold separately), provides extended runtime. Operating in optional economy mode reduces heat output and cooling requirements and consumes less electricity. An interactive front-panel LCD screen displays operating conditions and diagnostic data, such as load, voltage and battery levels. An audible alarm signals UPS startup, power failure, low battery, overload, UPS fault and remote shutdown conditions. EMI/RFI line noise filtering improves your equipment's performance, and 425-joule surge suppression prevents equipment and data damage from harmful power surges. 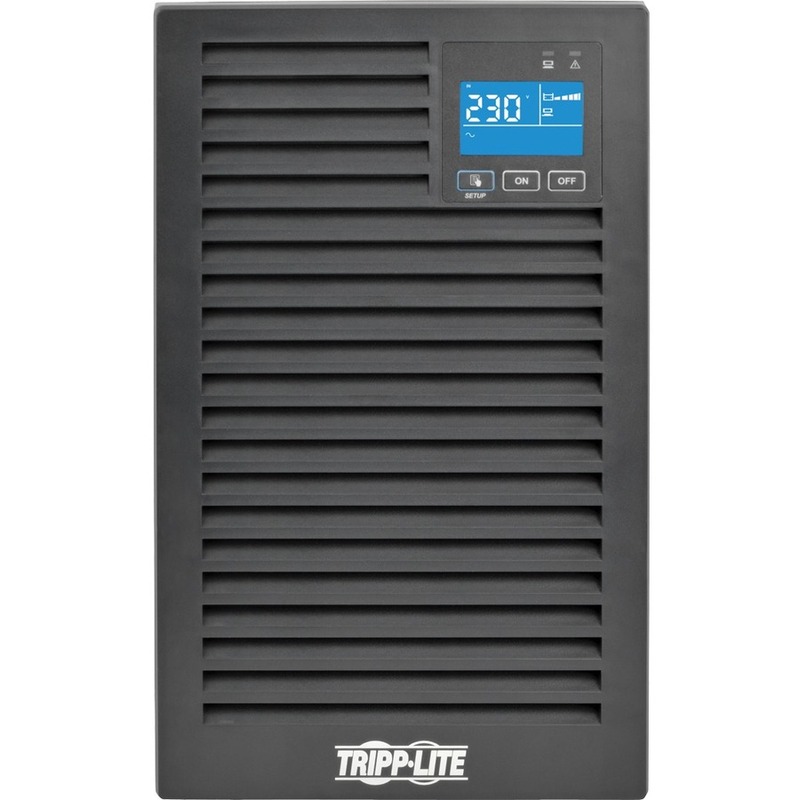 With Tripp Lite's PowerAlert® software, the SUINT2000XLCD enables safe unattended system shutdown and file saves in case of a prolonged power failure. A built-in card slot supports TLNETCARD, WEBCARDLX, SNMPWEBCARD, MODBUSCARD and RELAYIOCARD for network interface and remote monitoring and control.